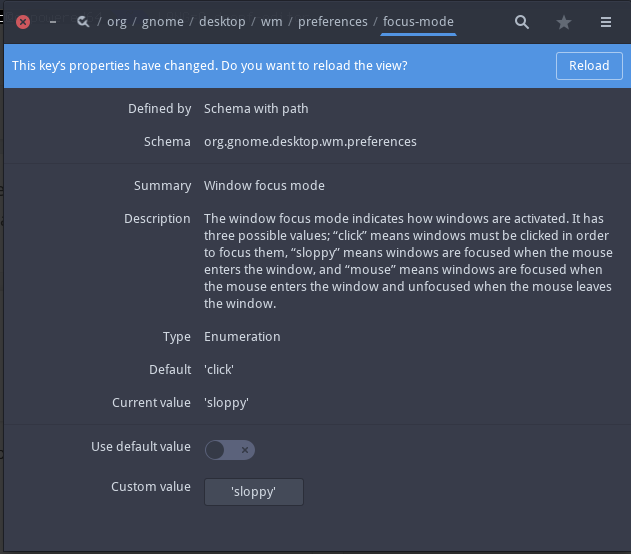 after the 3.32 upgrade gnome-terminal and nautilus are not active when you launch them until you click in them. This makes no sense to me, I would expect that if I launched something it should be active so that I can type in it. Other programs behave as expected. Anyone else seeing this? Anyone know how to fix it? Yes, I also have this problem, but the entire Gnome update didn’t arrive completely yet. The updates are still coming in. Same here. Bit annoying but …we wait and see. Todays gnome updates (mutter, Gnome shell and some others) solved the problem. Corrections: it only solved the Nautilus problem. Forget what I said, it only works the first two times, after a while Nautilus opens unfocused and you have to click in it to make it work. I’d say it’s probably local - it is highly annoying so there should have been lot’s of reports on that everywhere. has no effect on the problem. Did not expect it to do but gave it a try just in case. But i do have exactly the same at a pure Archlinux GNOME install. Yes, this is clearly a Gnome issue, although over here Nautilus is fixed. @galvez_65 Yep same here, highly annoying every time I open a terminal. Maybe the point release in a couple of weeks will fix it? The terminal still opens unfocused, but Nautilus opens focused in my system. I don’t know when exactly it got fixed, but I’m pretty sure it was somewhere towards the end of last week. Have you reboot your machine? That’s interesting to learn, on the other hand; Gnome is pushing Wayland as if it is the best invention since sliced bread, so your outcome isn’t that surprising when you think about it.